Sarah Ennis (IRL) with BLM Diamond Delux on a score of 47.2, Katie O'Sullivan (IRL) claimed the runner up spot with Lowhill Blackout with a score of 52, and Constantin van Rijckevorsel (BEL) was placed 3rd with Butterfly Boy on a score of 54.4. 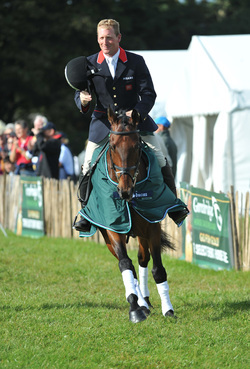 Oliver Townend (GBR) takes both first and second placings in the CIC***. 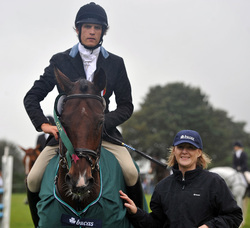 He won with Imperial Master on a score of 40.2 , and was second with ODT Sonas Rovatio on a score of 43.5. Katie O'Sullivan (IRL) put in a great performance to finish 3rd with the beautiful Kilpatrick Dancer on a score of 44.7. Ollie has now won the first leg of the E50,000 bonus on offer between now and the event next September so no doubt we'll see him back again next year to try claim the pot! Vittoria Pannizon (ITA) continued her winning streak this week, she has won the CCI** riding Merlots Magic with a score of 47.6, Oliver Townend (GBR) was hot on her heels however, finishing in both 2nd and 3rd place with Skyhills Cavalier and DHI Bandit King with scores of 48 and 48.3 respectively. 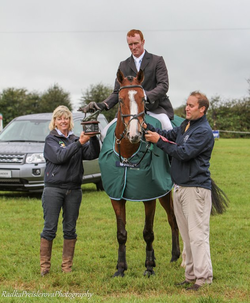 Ciaran Glynn (IRL) had a great weekend, winning the CIC** on Craic with a score of 51.1 and also filled the runner up spot on Killossery Jupiter Rising with a score of 52.6. 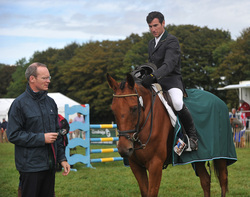 Brian Morrison (IRL) finished in 3rd place riding Jail Breaker with a score of 53.1. Therese van Rijckevorsel (SWE) and Buzzy Bee du Langwater win the CCI*. It was a particularly special victory as the horse's breeder (and Therese's father in law!) 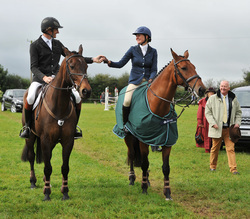 were there to cheer them on, her husband Constantin van Rijckevorsel (BEL) riding Rural Dean finished in 2nd spot with 46.7 penalties. 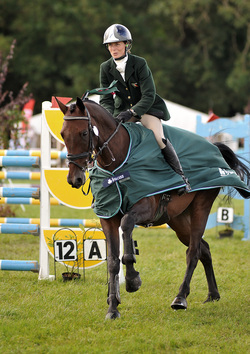 Alison Holden (IRL) and Maximus Orelius flew the flag for Ireland and finished in 3rd place with 49.6 penalities. Giulio Guglielmi (ITA) won the CCIJ* riding Porche Renkum on a score of 49 penalties, Jamie Nolan (IRL) filled the runner up spot with Capitol Coin on 57.9, and Slaney Ronan (IRL) riding Really Rich finished in 3rd spot on 58.8. George Russell and Kilcoltrim Cara join the Michael Leonard 5&6year old Championship Roll of Honour after winning the class on a score of 28.8. 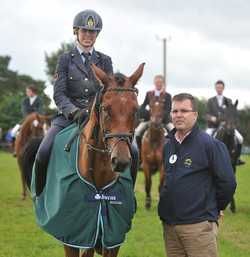 Captain Brian Curran Cournane and Stonehavens Smartie finished in 2nd place on 34.5 and Camilla Speirs was close behind in 3rd with BT Dancing Queen on a score of 35.3.